Meyer Lemon Blooming in “Winter”. 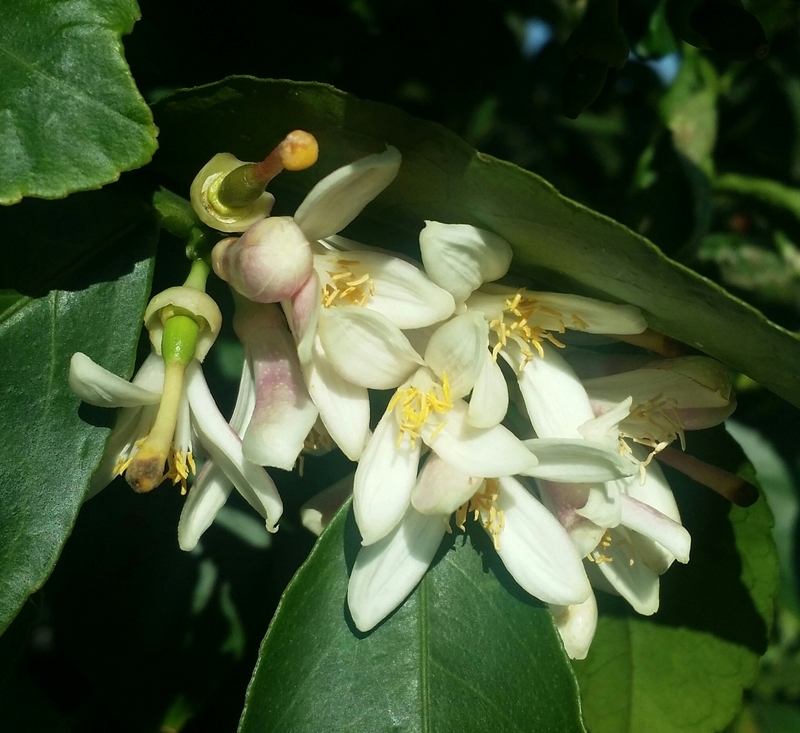 Due to the mild winter weather so far, the Meyer lemon tree bloomed and with plenty of bees around (various species observed in late November, and early December—also due to the mild weather), the tree set new fruit very late in the year. The last week resulted in two nights with temperatures well below the freezing point (29 to 30 degrees) so I’m expecting these flowers and early-stage lemons to drop off.